Posted December 16th, 2015 by Grange Refurbishment & filed under Uncategorised. 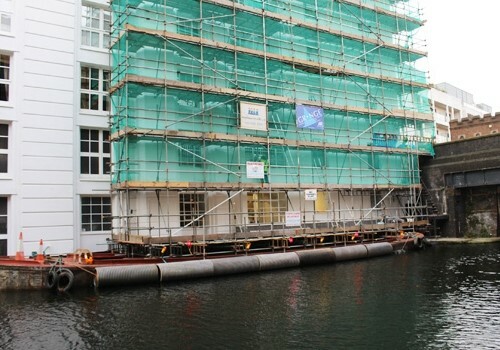 The sunken barge gave a platform for scaffolding at the canalside offices in Camden Town. IT was not your usual scaffolding job for building restoration specialists Grange and Co – but with a little thought they came up with the answer. Grange and their co-contractors Four Ways were due to fix the render of the Grade-II listed 1960 canalside office block known as Admiral House in Oval Road in Camden Town. But one side of the seven-floor building drops into the Regent’s Canal – meaning there was no solid ground where for the scaffolding to be anchored to. 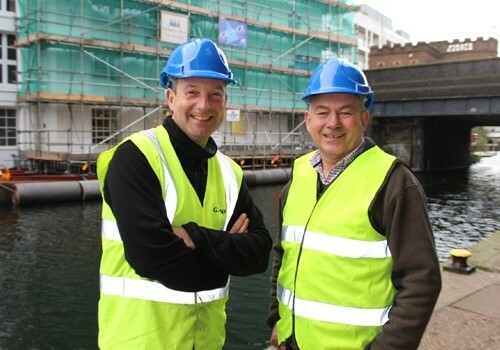 The answer was to hire a barge, moor it alongside the building – and then sink it. 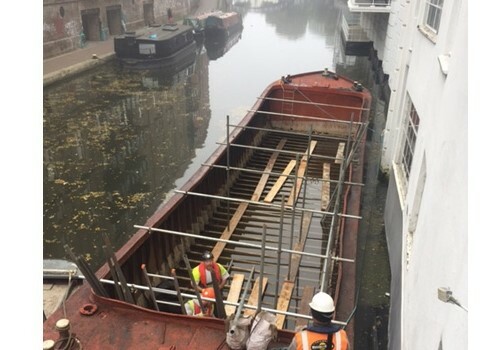 Mr Rushworth said it was the second time the barge had been used for the same purpose.